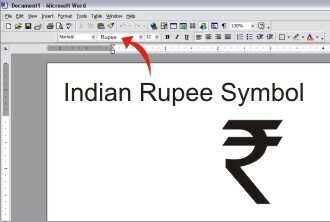 Although it’s been a while since the Indian government introduced the Rupee symbol for INR, most people are still not aware of how it can be written in MS Word. Unlike USD ($), Yen (¥), Euro (€) and GBP (£) icons that are included in the “symbols” under “Insert menu” option, INR is still to mark its spot. Now, Microsoft has added the symbol in its Unicode standard, however, if you want to type the sign in Word using your regular keyboard, your existing MS Word fonts need to be updated. 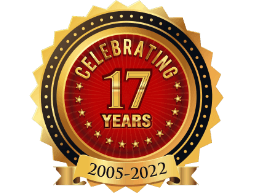 If you are a Vista or Windows 7 OS user but have an older version of MS Office, install kb2496898 hotfix to update Times, Tahoma and Arial fonts. Once complete, open MS Word and choose either the Arial or Tahoma font style and type 20B9, then click Alt X. The letters will be converted into the Rupee mark. However, if you add the symbol to a document and share it with someone who uses an older OS version or has not updated the fonts, they won’t be able to read the Rupee sign; instead see some gibberish characters. The font update is available to anyone who has a genuine Windows 7 or Vista version, but not for XP users.